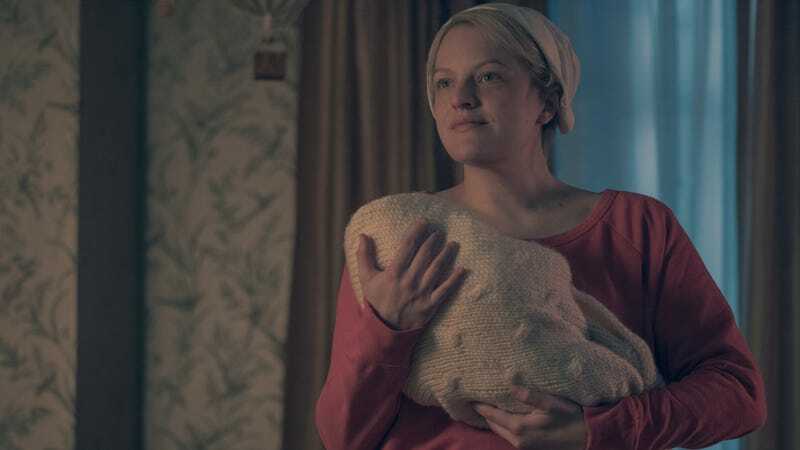 June/Offred (Elisabeth Moss) in the season two finale of Hulu’s The Handmaid’s Tale. Hulu’s The Handmaid’s Tale won’t be the only property expanding Margaret Atwood’s dystopian world. The author has announced that she’s finally writing a sequel to her iconic novel, called The Testaments, and says it’s partially inspired by everything going on in our society today. Set 15 years after Offred’s final scene in The Handmaid’s Tale, the sequel will be told from the point-of-view of three female characters. She hasn’t revealed whether any of them are Offred, or connected to Offred, or what roles they play in Gilead. But I’d hazard a guess that at least one of them will be a wife, given how the Hulu series has done such an amazing job with Serena Joy’s character. It’ll also be interesting to see how the sequel melds with the Hulu series, or diverges from it, given how much the show has changed or expanded from the source material.